If you live in Oklahoma and are near Enid, Oklahoma you may be wondering what there is to do with kids in the area. 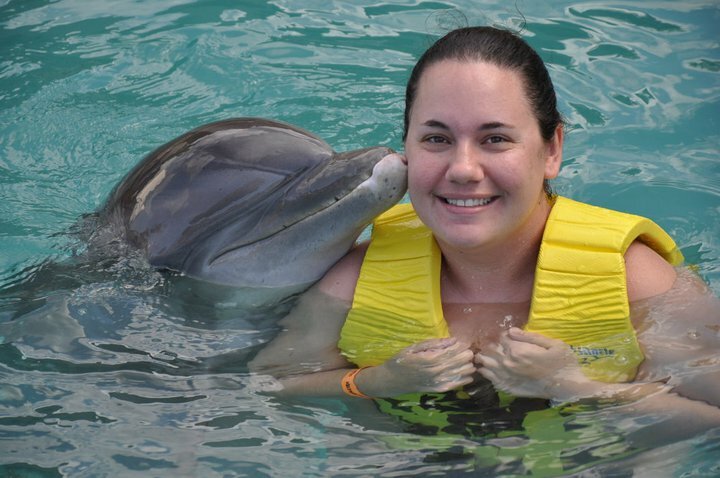 Enid actually has several fun activities for children and you could spend a few days visiting all of them. 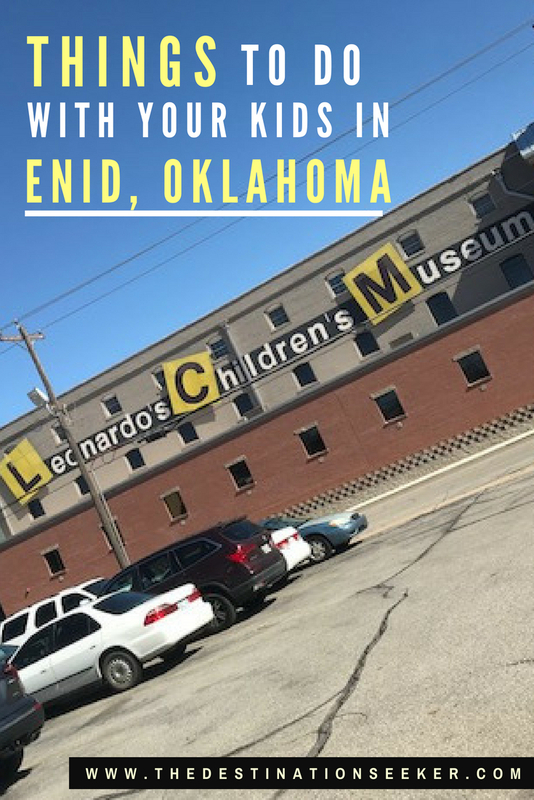 Leonardo’s Children Museum just did a huge remodel in 2016 and it is a place you do not want to miss when looking for things to do with your kids in Enid, Oklahoma. Inside the museum, you will find several educational exhibits including a bed of nails, grocery store and life-size Operation game. My kids love the Critter Clubhouse where you can pet snakes, ferrets and more. They are always adding new things or changing it up. Once you are done playing inside of Leonardo’s Children Museum, you can head outside to Adventure Quest. This huge castle will keep the kids busy as they run around exploring it all. You can check out prices and everything to do at Leonardo’s Children Museum on their website. Another great way to save money is to check out Groupon because they offer discount tickets all the time. Creative Arts is located at 222 E. Maple right by Leonardo’s Discovery Museum. 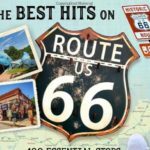 When looking for things to do with your kids in Enid, Oklahoma you do not want to miss this place. They have several classes for adults and children from painting to pottery. One of our favorite things to do is check out the paint your own pottery on Fridays. You get to pick out a piece of pottery and paint it and then they will glaze it. After that, they clear coat it for you and then put it through the kiln. You later come back and pick up your completed pottery piece. This museum is open Monday-Saturday from 8:00 am – 11:00 am and also 1:00 pm – 4:00 pm. The admission is always free. This is the Simpson’s Old Time Museum and Skeleton Creek Productions Movie Studio. You will not want to miss out on seeing all of the old west items and honky-tonk piano music. They even have an 1880’s saloon. This museum is close to the corner of Van Buren and Owen K. Garriott and the locals know it as The Rock House. The admission is free. You can visit the museum Tuesday through Friday from 1-4:30 pm, Saturday 2-4:30 pm or by appointment by calling (580) 478-3907. There is a trophy room and a ton of gorgeous gems and artifacts throughout the house. Enid has two splash pads that are open over the summer and are free to use. They are the Champion Park Splash Pad and Hoover Splash Pad. The Hoover Splash Pad located at 3000 W. Oklahoma Ave. will operate on even days of the week while the Champion Splash Pad located at 10th and Chestnut will operate on odd days of the week for the summer. These have fresh water coming out and are a lot of fun! The Cherokee Strip Regional Heritage Center has a small museum inside, but my favorite part is Humphrey Village which is outside. The Turkey Creek School is used to show children what it was like to go to school in a one-room classroom. They have a 1902 church that can be used for weddings and also the Glidewell House, which was moved here from Helena, Oklahoma. They also offer field trips and several fun days throughout the year. You can enjoy Christmas in the Village where you even get to send a letter to Santa using their 1893 U.S. Land Office. Do you remember going skating when you were a kid? 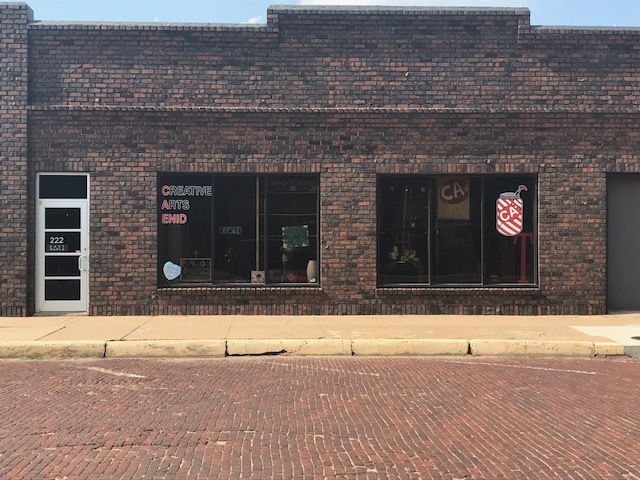 This skating rink will take you back and is something you don’t want to miss when you are looking for things to do with your kids in Enid, Oklahoma. 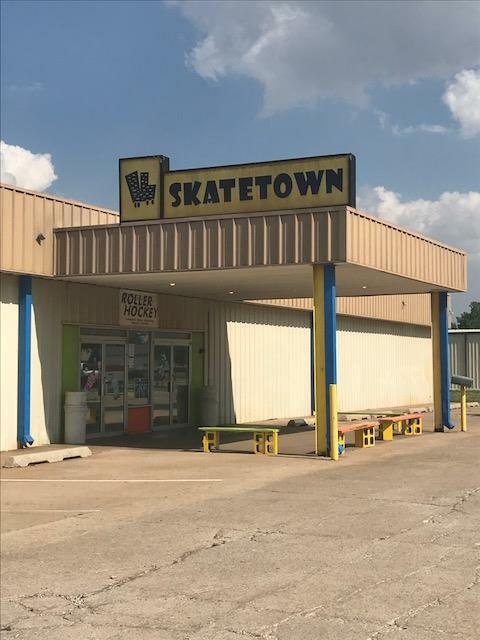 Their hours do vary, so make sure you check out the Skatetown website before going so you know that they are open. It is located at 905 Overland Trail. They also have special nights for things like a glow party and even riding your hoverboard around the skating rink. You can book a birthday party here if you are interested. This bowling alley is located at 4709 West Owen K Garriott Road. They offer a lot of fun things to do and actually have the best arcade in Enid. The only other one is located inside Oakwood Mall. You can enjoy a game of bowling anytime during the day, but they also have a midnight bowling and for this one, the black lights are on. They also offer a Kid’s Bowl Free program during the summer if you are looking for cheap entertainment. 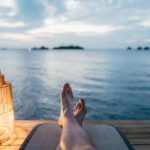 It is a blast when you want something fun to do with the kids in Enid, Oklahoma. The Railroad Museum of Oklahoma is located at 702 North Washington. They have a small museum, but then you can also go outside and see a real engine, caboose and more. To check out this museum, there is not a fee, but they ask for a donation. 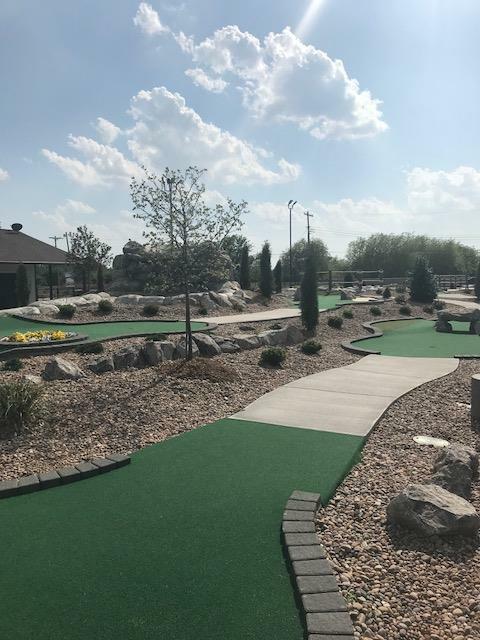 The 4 R Kids miniature golf course is a blast and they just redid the entire thing in 2018! They now have a waterfall in the middle. It is located at 710 Overland Trail. They also offer birthday parties and have a small game area inside with a few small arcade games plus checkers, chess and a large Connect-4. Meadowlake Park is the perfect place to visit with the kids during the summer in Enid, Oklahoma. 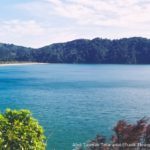 They have several different areas where you can have a picnic, various playgrounds and a lake right in the middle. This lake is great for fishing and they also have paddle boats you can rent in the summer. At certain times, they have a few rides that are going including a Ferris wheel. Meadowlake Minature Golf and Snocones is also located here and is open all summer long. Enjoy a cold snocone while you play a round of mini golf! Do you have anything else fun to do with kids in Enid, Oklahoma? Let us know in the comments!